The book of Jonah covers the preaching of the gospel (evangelism), GOD’s supremacy (sovereignty), His sustenance and direction (providence) and GOD’s greatness (glory). Man’s errors and sin in evangelism are exposed. Jonah was a prophet in Israel, from lower Galilee (2Ki 14:25). 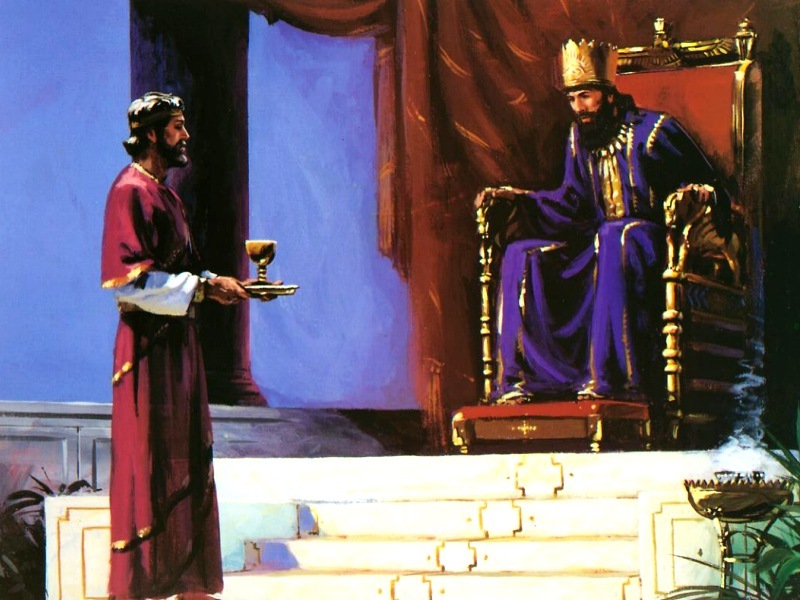 He ministered during the reign of King Jeroboam II of Israel (c.782 BC–c.753 BC). Jonah prophesied that GOD would effectively secure the country’s northern borders. Assyria’s rulers then became less aggressive towards Israel. Israel soon began to be ethnically arrogant. They had for generations, legalistically considered themselves spiritually exclusive. GOD told Jonah to go east to Nineveh, the Assyrian capital, about 500 miles inland. He was to preach against their wickedness (1:2). Instead, Jonah fled by ship, to go 2000 miles to the west. A storm arose. Jonah was dumped into the sea by the crew. GOD commanded a great fish (Hebrew=dag gadol) to swallow him. Jonah repented. He was released at GOD’s command. Jonah continued GOD’s mission to Nineveh. Nineveh was a great city (1:2) about 60 miles in perimeter. King Ashurdan III (c.773BC-c.755 BC) was probably its ruler then. He and his people repented after hearing Jonah’s preaching. The book of Jonah was probably written during the years 773BC to 760BC. It’s the only book in the Bible where the ending hangs in the air. Jonah probably wrote it himself, as he appears to know its intimate details. It is also the only Old Testament book where a prophet had a ministry, both within, as well as outside Israel. Man’s wickedness comes up readily before GOD. But GOD does not leave man in sin. He sends His messenger to demand repentance (1:2). GOD does not give up having His message preached (3:1&2). GOD’s people are to pass on His salvation, to be a light to the nations (Gen 12:2&3, Deut 7: 7&8; Isa 49:6). He did not choose them to merely exult in it and to keep it jealously to themselves. 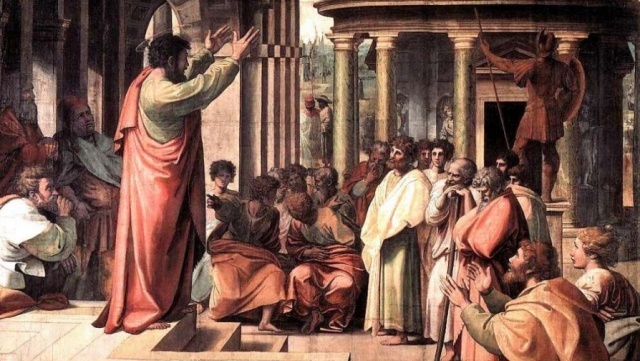 Proclaiming salvation to the non-Israelites was not new. Elijah and Elisha had done this (1 Ki 17:8-24; 2 Ki 8:7-15). Amos, Jonah’s contemporary, prophesised that GOD’s redemption included other nations (Am 1:3-2:16; 9:7&12). After Jonah’s era, Daniel and Nehemiah testified of GOD’s sovereignty to the Babylonian and Persian kings, respectively. We are chosen to present the gospel (1Pet 2:9). The gospel is not confined to any strata of society. Christians are expected to testify even before kings (Matt 10:18). Christians must never consider another race excluded from GOD’s salvation just because of the latter’s ungodly actions. Neither should Christians obstruct the spread of GOD’s message because of their own ethnic prejudice. 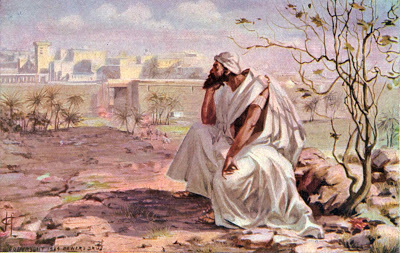 Jonah resented preaching to the Assyrians. The message is GOD’s message—not ours (3:2). When the Assyrians heard GOD’s message, they repented completely within 40 days. This was from the king, down to every subject (3:7-8). The Christian’s love for his enemies is a command from Christ. It is not an option (Matt 5:44). Neither is the great commission the great option. A Christian is to show love and mercy for his enemy who is almost dead at hell’s gates (Luke 10: 36 & 37).When we present the gospel, we do not do this on our own authority nor by our own efforts. We go instead with the complete authority and presence of Christ (Matt 28:18-20). It is the Holy Spirit who convicts them of the gospel (John 16:8-15)—not man. When we testify of the one true GOD, others are convinced that He exists, especially during their times of trouble (1:10). It was from Joppa that Jonah had fled by ship. But it was from Joppa, ironically, that Peter was told to present the gospel to the Gentiles (non-Israelites). This was to Cornelius, the Roman centurion, his relatives and close friends at Caesarea (Acts10:34 & 35). To bring the gospel to the Gentiles cost Jonah and Christ to be ‘buried’ for 3 days and 3 nights (Matt 12:38-42).There is a price for the gospel. However, GOD has seen to that even before the foundation of the world (Eph 1:4&5). We should therefore never consider evangelism from man’s perspective. This was Jonah’s error right from the beginning to end. GOD’s sovereignty will not let evangelism be treated with contempt. The mediocre or evil acts of men that subvert the spread of GOD’s message would be defeated by the power of GOD (1:4). 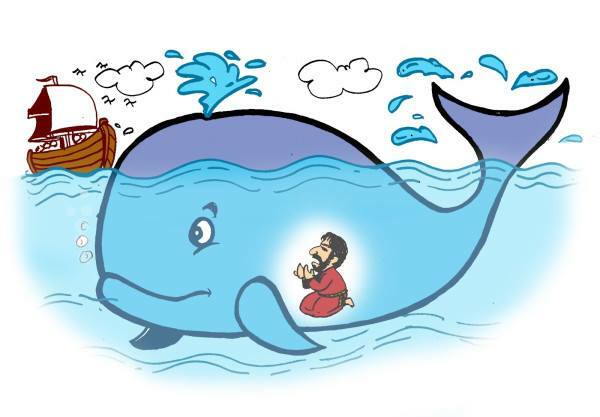 Even when GOD’s messenger (Jonah) was reluctant throughout to the end, GOD’s message still went through. GOD’s sovereignty is never compromised by his forgiveness of sin. Though He does not approve sin, He has mercy on the sinner. GOD gives him the occasion to repent (4:11). GOD’s forgiveness of the Assyrians is not Him changing His mind. His forgiveness is the very evidence of His sovereignty, as He plans. His forgiveness however, is not permissible indefinitely. In Nineveh’s case, they had up to 40 days only to repent from the time of preaching. The rest of mankind today is living on borrowed time as we live through the last days. This shows GOD’s sovereignty as salvation is completely in His hands. GOD can provide protection, only to withdraw it at His own option. Overnight GOD provided shade to Jonah and within a day, withdrew that very protection (4:6-9) to make His point. The unsaved recognise GOD’s sovereignty readily in times of peril, when they are helpless (1:14 & 16). GOD is faithful, unlike worthless idols. Salvation belongs to the LORD (2:8,9c).It does not depend on the actions of fallen man. GOD withdraws His plan to bring destruction on our lives when we end our sin (3:10). We are given freedom to seek and to follow GOD’s will. However, He is quick to withdraw that option if we deviate from His will. GOD chastens those who flee from His instructions. This is done to make us realise our need to be restored to Him. GOD puts us to the test when we disobey Him. He is ever ready to answer our prayer as we appeal to His holiness (2:2-12). No matter where we pray from, including the belly of a great fish, GOD hears fervent prayer. Jonah’s experience in the belly of the great fish seemed like being imprisoned in hell (2:1, 2, 6 b, c-9). Jonah eventually came to Nineveh to preach its destruction. However, GOD managed to convict her residents to repent and save them. GOD brought a city to repentance by one man’s preaching even though he did not apparently love the people he preached to. 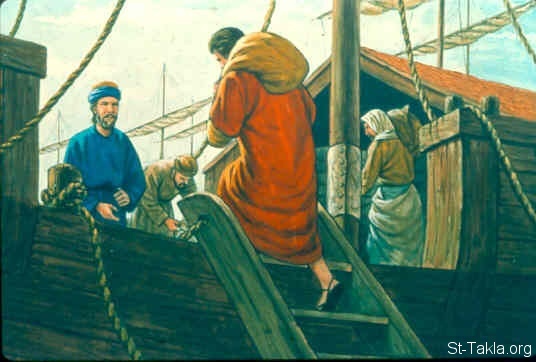 Jonah’s ministry was in a sense, a success even though he failed as a minister. GOD makes everything come to pass within His own plan. Nature, including the wind, sea, sun, plants, temperature and the creatures in the sea, is under GOD’s command. These are not independent forces or entities. GOD is also concerned with the beasts of the field and their survival just as He is concerned with man’s redemption (4:11). He also monitors what appears to be irrelevant phenomena, including the casting of lots and the results (1:7). NOTE: Tony Dibble worships at Endeavour Christian Gathering (ECG), in Perth, Western Australia. Prior to this, he was attending the Church of Our Holy Saviour (COHS), in Labuan, East Malaysia. When in Kuala Lumpur, he worships and preaches at Faith Oasis Fellowship (FOF) Subang Jaya, Selangor.